July 21, 2011 /Photography News/ Imagine Publishing and Samsung are joining forces to launch the fifth annual Digital Photographer of the Year awards, with amazing new prizes and exciting new categories. 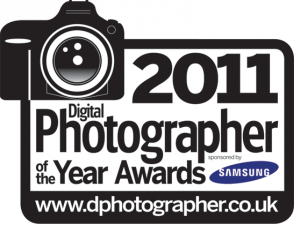 The winner of each category will win an amazing Samsung NX100 system camera PLUS a 20-50mm lens and a 20mm pancake lens. The category runners up will win a fabulous Samsung WB700. The Awards are open to anyone over 18 years of age but a maximum of three per category per person is allowed. This excludes the ‘Overall’ category. Images that have already been awarded a prize in a national or international competition or been used for commercial purposes are not eligible. The photographer will retain copyright and where an image is reproduced, the photographer will be credited. The organisers reserve the world-wide royalty free right to reproduce the prize-winning images on, or in relation to, Digital Photographer of the Year. The call for entries opened on the 14 July. The format of the awards for 2011 will see a brand new competition category launched in each issue of the magazine.